The 2 Sisters Food Group has suspended operations at its West Midlands site following allegations of food safety breaches, according to BBC News. 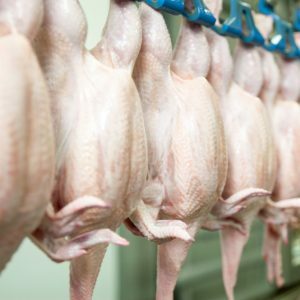 The company, which is one of the UK’s largest chicken suppliers, has announced that its staff will be ‘appropriately retrained’ before it begins to supply customers again. The Food Standards Agency (FSA) is investigating the claims of poor standards at the site. An undercover reporter working for The Guardian and ITV News claimed to have witnessed workers changing slaughter dates on crates of chicken, mixing meat of different ages, changing site codes and putting chicken back on the production line after dropping it on the floor. Customers Marks & Spencer, Aldi, Lidl, and The Co-op have stopped taking deliveries from 2 Sisters while investigations are taking place. Additionally, Tesco and Sainsbury’s are looking into the allegations. 2 Sisters said that the FSA had visited its site in West Bromwich on a daily basis since the claims came to light and had failed to identify any breaches of food safety law.